There is “A Time and a Season” for everything. We’ve all heard that phrase at different points in our lives. Generally, we’ve heard it from a sage elder statesman or elder stateswoman or perhaps even read it in one of our favorite books. Whatever the case might be, we’ve reached that place in this phase of our evolution. Life is amazing as the forces of nature can, will and often do conspire to move us forward, to stretch us beyond our comfort zones and perceived levels of development. It calls us to even greater areas of enlightenment, purpose and responsibility. Such is the case for me; that time is now and that season has come. So, effective COB on 27 Sep 12, I’m transitioning from life with the North Texas Small Business Development Center network and to life as an independent consultant with Woods Consulting Group. 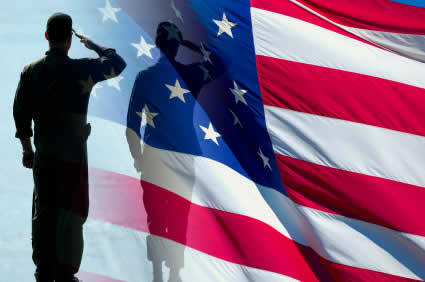 I will continue to publish the Veterans Business Resources blog and Facebook page. I will continue to serve – Mission First, Soldier Always! This platform allows me the unique and special opportunity to share with and serve a community of Veterans, patriots and entrepreneurs interested in making the U.S. Government their #1 customer. With your help, we can take this message and these lessons to an ever-increasing audience. The time and season to spread this message is now. Will you help us? It’s Saturday night and I’m sitting home – alone. Well not exactly, Michael Franks is playing in the background as I reflect on the past week. I attended the 8th Annual National Veterans Small Business Conference and Expo at the Cobo Center in Detroit. That was quite the experience, but I’ll share that story with you a little later. I’d just started getting into the saxophone solo on Eighteen Aprils when I was startled back into reality by what sounded like a firecracker. Impossible, this is inside city limits and no firecrackers or ordnance of any type will be discharged inside city limits, right? Oh well, I guess we’re just getting an early start on the annual fireworks that accompany most 4th of July celebrations. When I went to check mail this morning I saw a small U.S. flag sticking in the ground near our mailbox. As I looked down our street, I noticed that each yard had a similar flag sticking in the ground near their mailboxes as well. A sure tell tale sign that we’re getting ready to celebrate the 4th. My neighborhood has done this for as long as I can remember. We will also have a neighborhood/community parade. While these are all very nice ways to celebrate our Independence Day, let me offer something else for you to consider. Walk up to a service member and say “Thank You.” Thank you for “standing in the gap” and providing the freedoms we enjoy yesterday, today and tomorrow. If you’re a business owner or executive with hiring authority, offer the Veteran a job. Can we do this?